Some time ago, I was reading the book called Julie &Julia, where a woman explains how she learnt how to cook. At some point, she tells that before her blog-experiment, she had never eaten an egg. Ever? I was astonished. In my family, we eat lots of them, and in so many ways. But then I noticed that I had never eaten them prepared in a mini casserole dish. This is why I chose to try this recipe. Chop the shallots and brown them in a saucepan with some oil. Crumble the cheese with a fork and add it with the cream. Add pepper (no salt, the roquefort is salty enough) and cook at low heat for 3 min. Add the arugula. Pour in the mini casserole dishes. Break the egg on the top of the mixture. So that the egg yolk doesn't sink you can first poor the egg white and keep the yolk. Bake for 10 min in the oven at 200°. After 7-8 min, add the egg yolk. 3 min later, take the mini casserole dishes out of the oven. Wait for the cream to stop boiling. 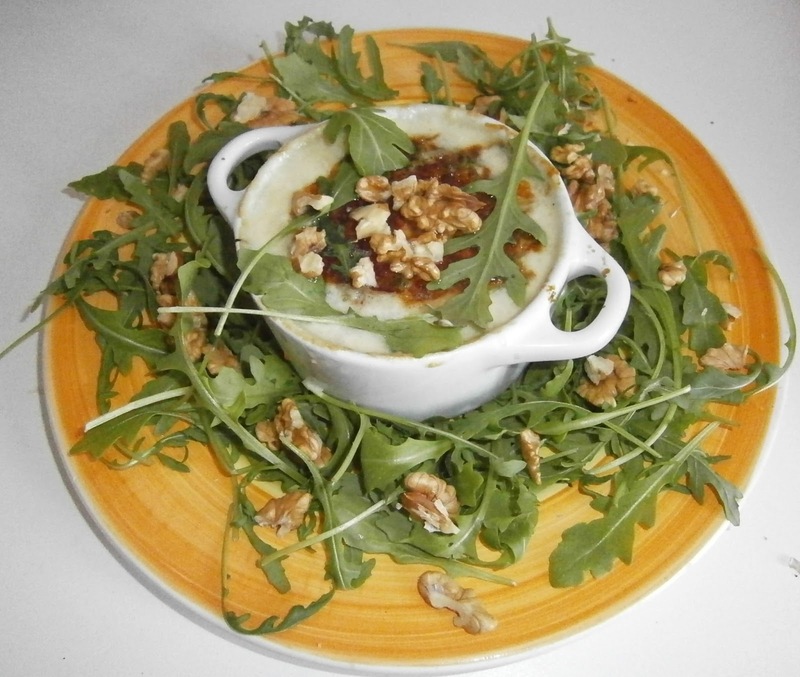 Serve in plates with arugula and walnuts. I found it delicious, even if the egg yolk sunk into the dish. Moreover, it is very easy and nice to serve, perfect if you want to impress your guest. 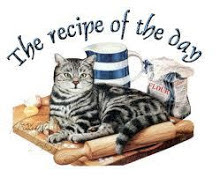 But try not to fill the mini casserole dishes... You will find that this mixture fills your stomach very quickly!